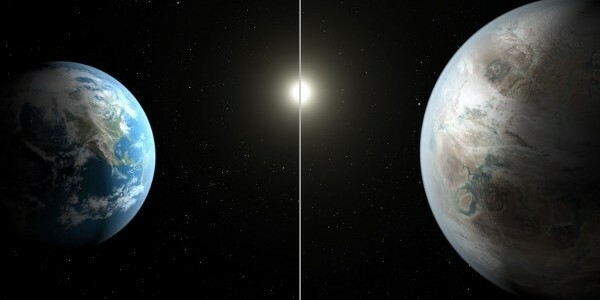 With the discovery of an exoplanet that is similar to earth and a bit bigger, it made me realize the value of exoplanets to the theory of expansion tectonics. With the technology to find exoplanets, we can actually see back and forward in time in the live of expansion tectonics by seeing planets at different stages of expansion. This latest planet is bigger than the earth and thus could be further along in the expansion process. This cousin planet could exhibit some characteristics of our future earth chemically. Will the earth eventually turn into a gaseous planet like Jupiter? Will it change chemically slowly or quickly? Finding these exoplanets could perhaps give us pictures of the evolution of planets via the process of growing or expanding. This is data that expansionists should keep their eyes on as new planets are discovered and we start learning about their age and composition. Stellar metamorphosis answers more than expanding earth theory.